I’m pleased to introduce you to the new addition to our wee family, Derek. Since finishing our building work and painting our living area, I’ve been looking for a piece of artwork to go above our big couch. I had thought of having 3 white framed pictures in a row but it all seemed a bit too predictable, so I decided to wait until the right thing came along. 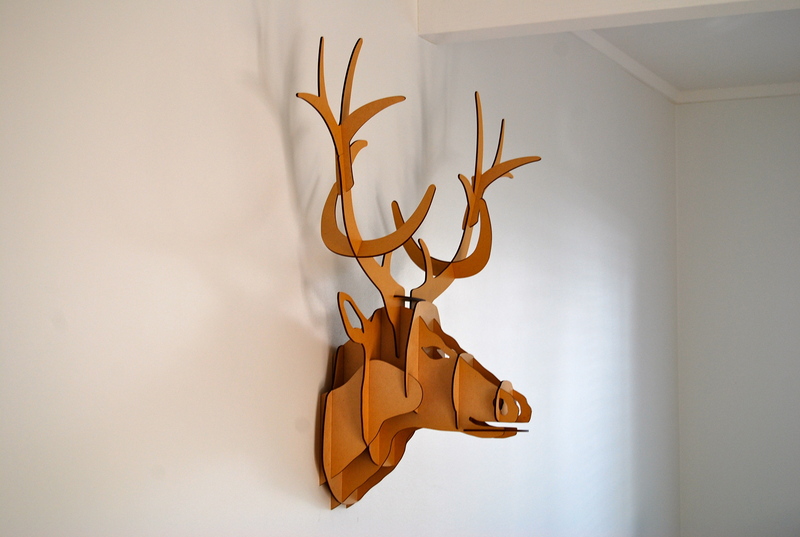 You can imagine how excited I was when I came across this piece-together deer head! (Actually, credit must go to my mum who spotted it on sale outside a shop last week when we were out for a walk together – thanks Mum!). It was meant to be. Not only was it on sale (always a bonus! 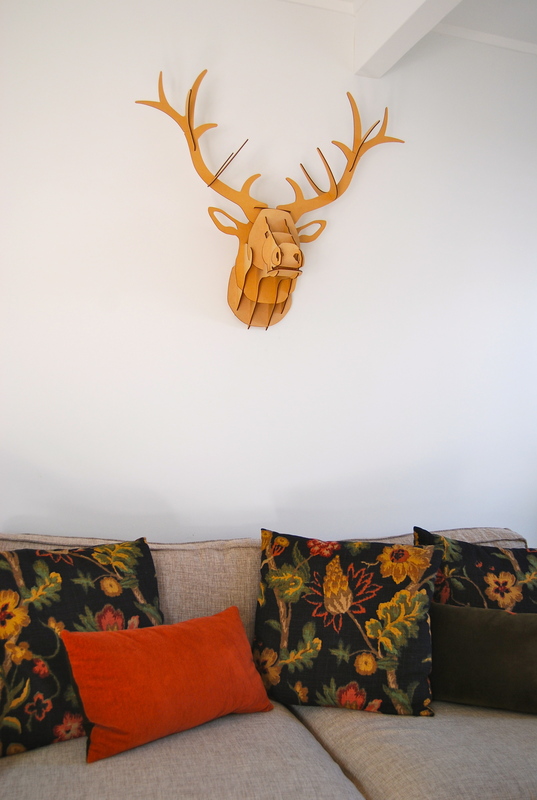 ), but it fits our wall perfectly, it ties in with some of the natural wood accent colours I have used in other bits of furniture, it’s that little bit unexpected and of course with Hubby being a deer hunter – he loves it! It seems to have Will’s approval too, he can’t stop looking at it and pointing and exclaiming “Deh Deh”. I’ve name him Derek, no particular reason other than it just fitted. I will post up more photos of our living area soon, but I’m making myself resist until the job is 100% complete (we still have to paint our doors). Hard out looks great with your cushions. Love it! Looks fantastic ! Our hubbies have the same pastimes! Goes great with your cushions.